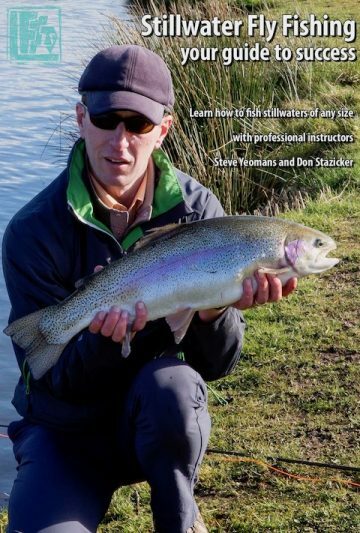 Steve Yeomans – Performance Fly Fishing – Because just being there is not enough! I’ve spent tens of thousands of hours immersed in fly fishing. Here I share experiences, tips, ideas and facts i’ve learned and continue to. After a successful career in the chemical and pharmaceutical industry, I opted to turn my life long obsession with fly fishing into my career. Fifteen years later, I’ve built one of the few full-time fly fishing schools within the UK from scratch. On the way I’ve evolved hugely as a fly fisher, instructor and guide. I’ve featured in The Field, Fly Fishing & Fly Tying, Trout & Salmon, Trout Fisherman and Total Fly Fisher magazines, plus several online publications. I Specialise in helping people perform at their best when waterside. The very first step in that process is to accept that fly fishing is not about “luck”. As with most things in life, it’s what you make of it! If this is your first time on steveyeomans.com, I suggest reading the above link as “start here”. In addition to instructing/guiding, I am actively involved in the production of educational fly fishing videos, delivering talks and seminars, plus consulting within the fly fishing industry. For further information about instruction, guided fishing, videos and seminars, please refer to the links below.